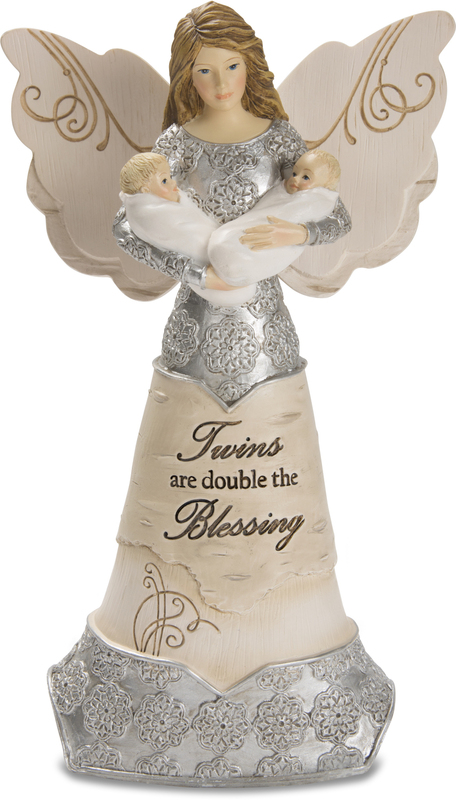 Elements Angels is a popular, hand painted line of angels figurines and home accessories, adorned with birch wood accents, pewter detailing, and spiritual sentiment. The soft color palette and wing design adds simplicity and classic beauty. Pavilion's vastly unique selection of beautiful Angel collectibles, ornaments, and water globes will charm your family and friends.